After at least a decade’s push for “college for all” in education reform, career preparation is now a hot topic, and with good reason. Though positioning all students to succeed in college remains a critical goal, there is growing recognition that the majority of students — regardless of income or race — graduate from high school or even college without clear ideas of what careers they want to pursue and adequate preparation for skilled labor jobs. Students far too often leave college with crushing debt and little direction or prospects as they enter the job market. And as anyone who has been paying attention to the “future of work” predictions can tell you, the price of inattention to work preparation and social mobility is about to get much, much higher. As automation rapidly advances, the types of job opportunities available to today’s students will likely change at a pace that requires significantly more intentionality and flexibility in American education and training systems. To open up new possibilities for more effective career preparation, match job training to industry needs, and, importantly, do so in a way that does not track some students into low-level careers, we have much work ahead. Tinkering with CTE — career and technical education — programs, creating more one-off internship opportunities, and adding more career counselors in high schools are all good things. But they are ultimately Band-Aids on a system that is designed to prepare some students for college with little thought to what’s beyond. What’s necessary is a systemic restructuring of the entire high school–college-career continuum so every student has an effective pathway to a productive and fulfilling career. There are many ways to better align education and job preparation, but one promising model is a statewide program run by CareerWise Colorado and based on the Swiss apprenticeship system. We recently visited the CareerWise industry apprentice sites in Denver, where we talked to students and learned about the state policy and district infrastructures being put in place to support the system. We saw an impressive effort to overcome false boundaries between high school, college, and career. Participating students commit to a three-year apprenticeship, starting in their junior year of high school. There are several distinct pathways, including advanced manufacturing, finance, and health care. Apprentices earn up to $30,000 over their three years, gain up to a year’s worth of debt-free college credits, earn industry certification, and learn a set of competencies aligned to that pathway. At the end of the three years, they are, in theory, well positioned to enter college with real-world work experience and skills, a clearer idea of what they want to do professionally, and a jump on college credits to make higher education more affordable. The potential advantage for students, especially those from low-income backgrounds, is huge — in terms of cost savings, skills needed to be competitive for attractive jobs, and professional networking. CareerWise is also proving to be an attractive option for students for whom the academic or social world of high school is less desirable than the professional work world. We met several students who were thrilled to be learning coding and other technology-oriented skills at HomeAdvisor, one of the Denver area’s most successful companies. There are downsides and challenges, too. Some students report having a hard time juggling classes, extracurricular activities, and job responsibilities and schedules. All that scheduling has to be worked out between the high school and employer for each student. Some students and families don’t like the idea of their child working for a year (the third year of the apprenticeship) before going off to college. There have been turf wars as students take courses across several colleges first to meet their apprenticeship requirements and then as they transfer to their ultimate four-year institution. Schools and teachers have questioned what competencies matter and who (schools or employers) are best able to judge student performance. For now, when students fail to meet academic requirements, they are forced out of the apprenticeship regardless of their workplace performance, leading to tension between employers and schools. And, as the program is ending its first year of implementation, it is still figuring out how to convey the value to a broad array of students, how to support students with special needs, and how to take what is now a very hands-on and mainly Denver-based program to scale across Colorado. In the Swiss system, a national commitment to the apprenticeship model means that many of these issues simply don’t exist. Seventy percent of Swiss high school graduates participate in an apprenticeship, and specialized high school courses are set up after 10th grade to accommodate work schedules as part of a coordinated dual training system. Students have one to two days of traditional coursework per week and three to four days of on-the-job learning. 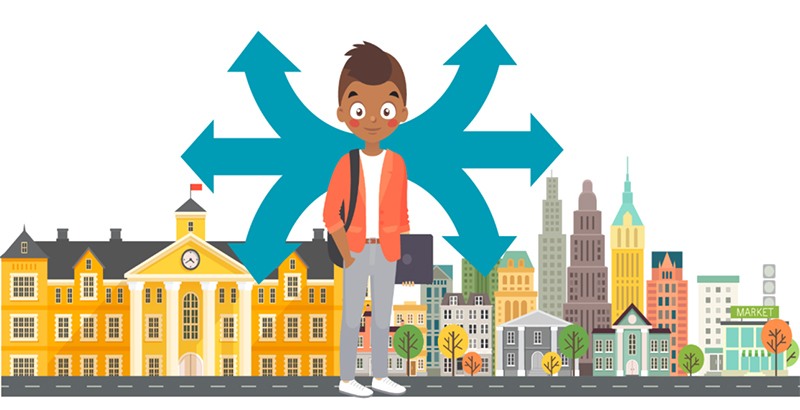 The program’s scale allows for large investments from Swiss and worldwide companies; program curricula, training, standards, and assessments co-regulated by government and businesses; a university-based research program; and a well-designed, though limited, government role to ensure every student can be successful in whatever pathway he or she chooses. Critically, a foundational principle in Switzerland is that whatever pathway students choose, there are no dead ends, tracking, or stigmas, as there often are with technical education programs in the U.S. Companies proudly explain that many apprentices go on to earn Ph.D.s in their field. The U.S. will probably never have a national system like Switzerland’s, and some states may decide to go a different route, but the advantages of a program like this are hard to ignore. It is systemic, not a set of one-off disconnected programs. It leverages new private monies and people into the education system, creates new income and training opportunities for all students, reduces college costs, and helps local businesses build a pipeline for talent. Perhaps most importantly, it creates a new set of pathways for students to develop their passions and skills. Robin Lake is director of the Center on Reinventing Public Education as well as affiliate faculty at the School of Interdisciplinary Arts and Sciences at the University of Washington Bothell. 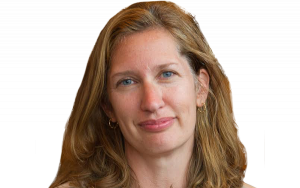 Betheny Gross is a senior research analyst and research director at the Center on Reinventing Public Education and affiliate faculty at the School of Interdisciplinary Arts and Sciences at the University of Washington Bothell. Robin Lake is director of the Center on Reinventing Public Education as well as affiliate faculty at the School of Interdisciplinary Arts and Sciences at the University of Washington Bothell. Betheny Gross is a senior research analyst and research director at the Center on Reinventing Public Education (CRPE) and affiliate faculty at the School of Interdisciplinary Arts and Sciences at the University of Washington Bothell. She coordinates CRPE’s quantitative research initiatives, including analysis of portfolio districts, charter schools, and emerging teacher evaluation policies.